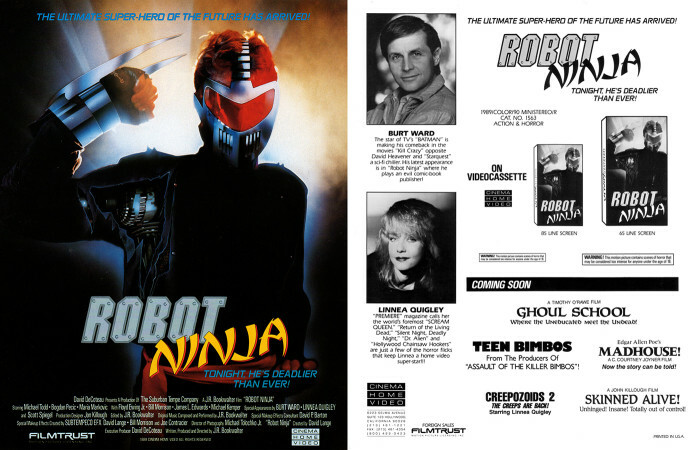 robotGEEK'S Cult Cinema: Robot Ninja Coming to Blu-Ray; Support the INDIEGOGO Campaign Now! Robot Ninja Coming to Blu-Ray; Support the INDIEGOGO Campaign Now! Those of you who are into low-budget, sleazy Direct-To-Video, VHS era splatter-fest's should need no introduction to this cult classic. For those of you who don't know what Robot Ninja is, or maybe you've heard of it or haven't seen it, here's some info from the man responsible for this film, J.R. Bookwalter. My name is J.R. Bookwalter, and in 2015, Indiegogo members like you helped make possible a 2K restoration for my first feature film, THE DEAD NEXT DOOR. Now I’m back doing the same for my follow-up effort, the notorious direct-to-video comic book vigilante epic ROBOT NINJA, which celebrates its 30th anniversary in 2019. 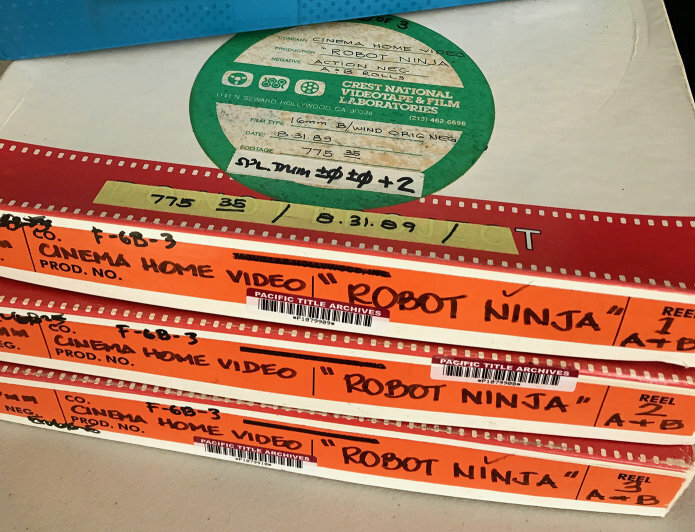 Shot in 1989 on 16mm film, ROBOT NINJA isn't quite what it looks like — in fact, there’s not a single robot or Ninja anywhere in the movie! I chose to adapt this mandated title into the dark, splatter-drenched tale of a comic book artist who dons the persona of his most famous character to battle a gang wreaking havoc upon a small town. This is easily the most gruesome film I ever directed — instead of the late ‘80s martial arts action extravaganza promised by the original cover art, viewers are assaulted by a unique spin on comic books, superheroes, and vigilante justice that goes horribly wrong for the protagonist. Despite being out of print since the early '90s, this movie has remained a hot item with collectors over the last three decades. That has a lot to do with its absence during the heyday of the DVD format — outside of the original VHS release from Cinema Home Video, ROBOT NINJA has never been reissued in the USA. 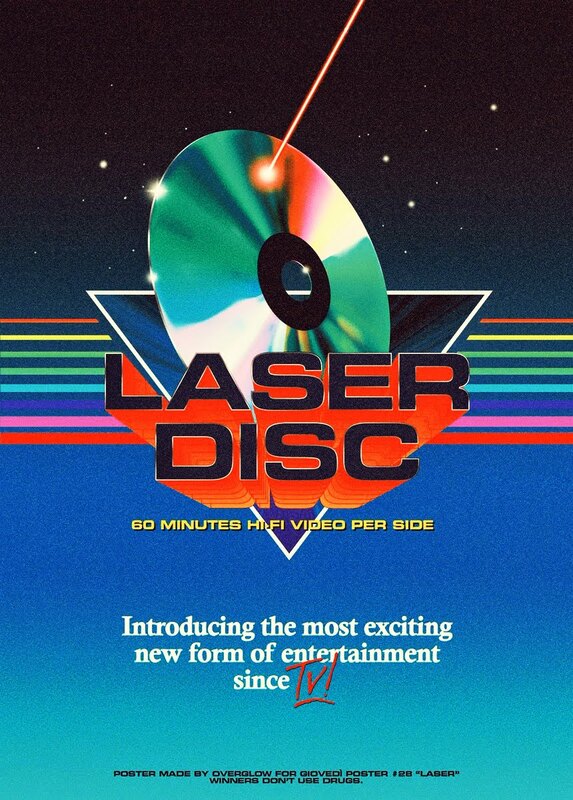 By comparison, the movie has been released internationally in Italy, Spain, Argentina, and several other countries including Germany, where it's been available in more VHS and DVD editions than I can count! But never on Blu-ray, until now.. 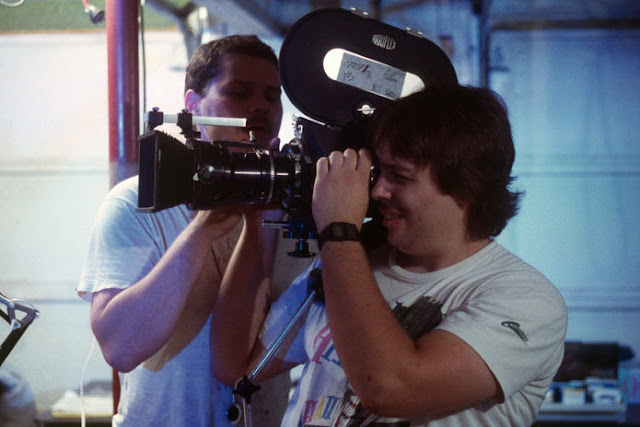 The film’s executive producer, David DeCoteau, recently unearthed the original 16mm A/B roll cut negative, which has enabled me to do a proper 2K film scan and begin the restoration process even before launching this campaign. At this point, the film already has an initial color grading pass and work is underway to create new main and end titles to complement a pair of shiny new 1080p HD masters being created — one in 4:3 original aspect ratio, the other cropped to 16:9 widescreen for modern displays. For side-by-side comparison frame grabs, be sure to visit our Facebook page! Your Indiegogo preorder will help fund the remaining restoration and cleanup work, producing bonus features, as well as authoring, replication, and shipping costs. We're aiming to have the Ultimate Edition in your hands by the end of this year! 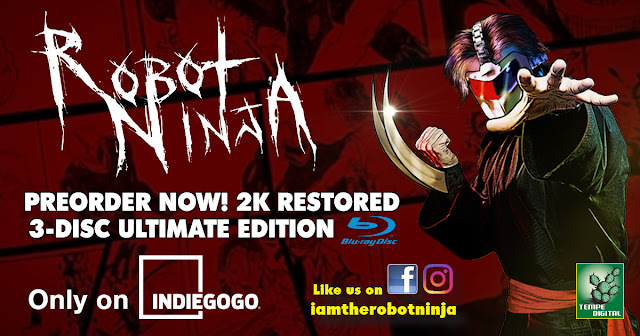 Like THE DEAD NEXT DOOR campaign three years ago, ROBOT NINJA Ultimate Edition will be a loaded three-disc set with two feature versions and HD extras on Blu-ray, a DVD with the original VHS version of the film, behind-the-scenes footage and additional SD extras, plus the complete original motion picture soundtrack available for the first time on CD. Stay tuned for a few more surprises yet to come! So there you have it. A brand new 2K Restoration from the writer/director himself, packed full of goodies and perks. This is really only a small bit of info regarding this release. Please visit the official Indiegogo Campaign HERE to get all the details. I encourage you to hurry, because this is a limited release and will surely sell out fast.